An eighteenth-century carriage stands before the residence of the Royal Governor of Virginia, one of the most elegant mansions in colonial America. 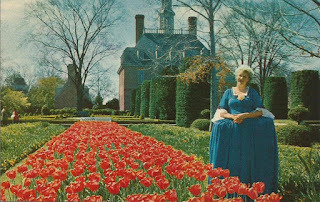 The formal gardens show the lavishness of the period. Open daily. 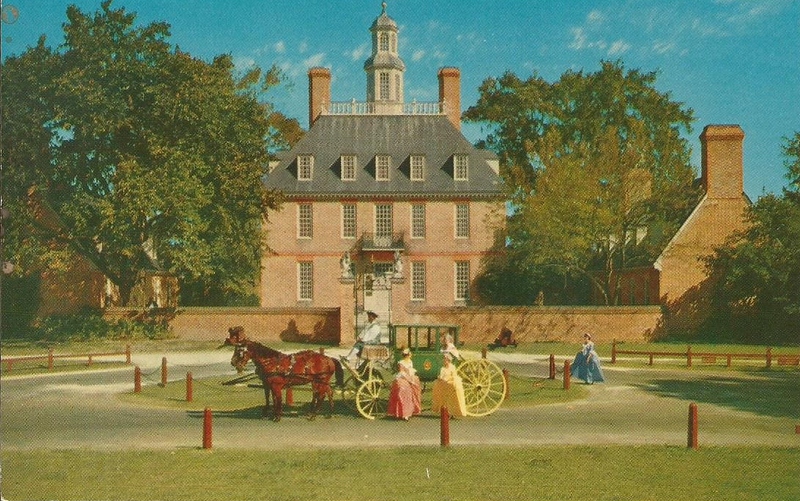 Surrounding the residence of the Royal Governor are formal gardens, among the handsomest in America. 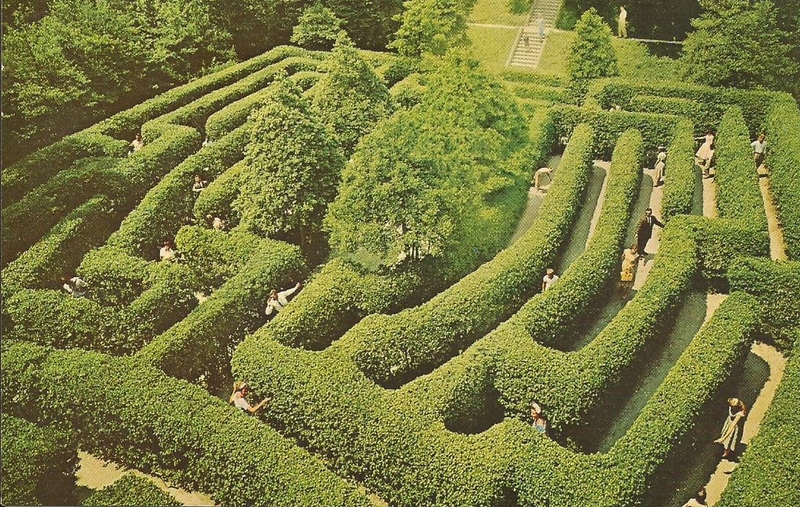 They include an English maze, bowling green, pleached arbors, and floral displays. Garden and Palace are open daily. This holly maze in the Governor's Palace Gardens is patterned after the maze at Hampton Court. In the background is a lofty tree-shaded mount bult above the ice house that served the palace.